Axminster Church is hosting a Puppet Ministry workshop on Saturday 26th March 2011 from 9.30am until 4pm at St. Mary the Virgin, Axminster. 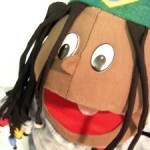 Karen says “I saw these puppets at the Christian Resources Show 3 or 4 years ago and I am still excited by the concept. Take a look at the website www.onewayuk.com to get a taster. For more information please feel free to phone me on 01297 35605 for further details.